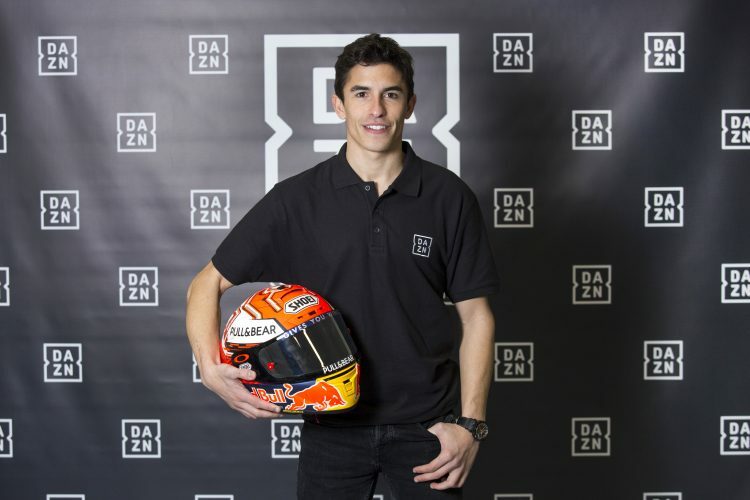 Madrid and Milan, 4 February 2019 – DAZN, the global live and on demand sport streaming service, has signed Marc Márquez as its brand ambassador in Spain. His skills and determination to overcome any obstacle and the endurance of the young rider makes him the obvious ambassador for DAZN, as the new home of MotoGP in Spain. Marc Márquez’s has enjoyed a glittering career, having achieved great success since virtually the first day he rode a bike, taking fans by storm with his distinctive riding style that helped him to break records. Since then, Márquez has not stopped growing and his rise to the top of the MotoGP™ world has been meteoric, as the youngest ever five-time MotoGP™ World Champion. DAZN has the exclusive broadcast rights for every session of MotoGP™, Moto2™, Moto3™ and MotoE™, from Free Practice 1 (FP1) to the race, for three years. The ambition is to grow audiences further in one of its most successful markets by providing live and on demand streaming. DAZN is finalising details for the imminent launch of the service in Spain, which will offer a host other exclusive premium sports events, including the English football Premier League and the basketball EuroLeague. The launch of DAZN in Spain signals the advent of a new era for sport broadcasting in Spain.